It’s funny how things progress, isn’t it? I started Brendansadventures.com back in the day as a way to showcase my travel writing, which I had just started doing professionally. I had been published a couple times, and wanted a website that hosted just a couple of my articles as a bit of an online writing portfolio for potential clients. Then, after a couple months hosted on WordPress, I found out that I could make some money by putting google adsense into the sidebar so I switch to self-hosting. After 3 months, I had made about 12 dollars from Google, and I was thrilled about that! 5 years later now, and the blog is still going strong and the evolution has been so strange it hardly seems right. I went from a published travel writer who shot with a 5.1 mp “point-and-shoot” camera to someone who is known far more for his travel photography than the words he writes. But, I have to admit, the passion for writing has been waning of late. It’s been nearly void since I left Africa. Since I left Anne Murray. I think it’s time for some changes. 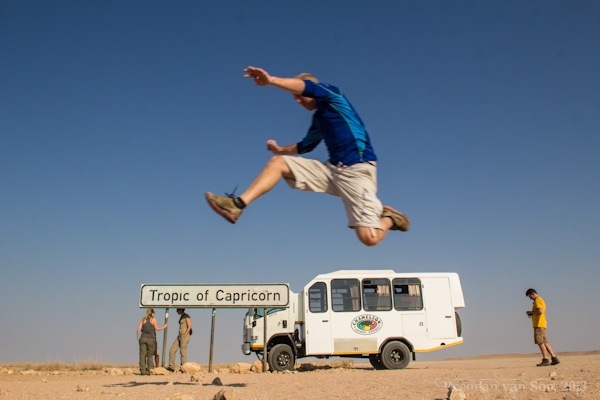 Jumping the Tropic of Capricorn. If you come to Brendansadventures.com for the travel stories, don’t think they’ll just disappear. However, in the past, I would write a travel story for nearly each and every destination. I would keep my life online in chronological order and hope that it would perhaps give people who couldn’t be travelling a bit of a feeling that they were. But to be honest, it’s become more and more difficult to write. I’m not sure where my inspiration went, but Africa seemed to put the rest of the world into a shadow for me. I suppose, when you spend 18 months in a life that feels like a movie, the things that happen afterwards all just have a way of feeling tame. 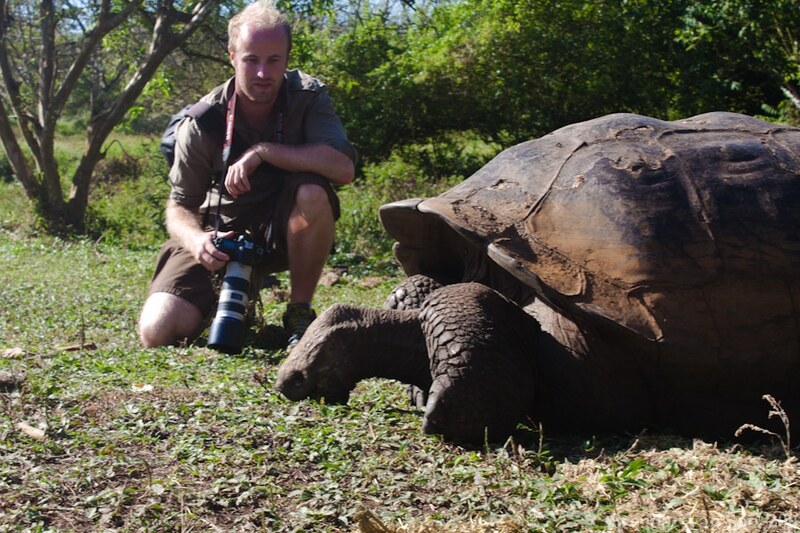 Since Africa, I’ve often found myself writing apathetically, which is no way to wield a pen. So far on this site, I’ve focused much more on the “check my photos out” side of travel photography. Sure, I’ve done some things like the Photoshop Elements Tutorials on HDR and such, but I’ve been pretty bad at the teaching side of things. Thus, I really want to help others find a way in travel photography. I want to be able to teach, to guide them to sources of income, and to really tell the story behind the images. Photography has long taken over as my passion, and I want to pursue that even more than I have been. I hope to also start leading some photography clinics and tours. Hopefully we can make that a reality at some point. As you probably know, I worked really hard on the video side of things this past year. My YouTube Channel, It’s my Life 365, however wasn’t nearly as popular as I had hoped. I grew a pretty nice subscribership, however, the views just aren’t there. Moreover, as I feel about my writing of late, I’ve been feeling apathetic to the videos I had been doing. It’s time for a change. Though I’ll keep running It’s my Life 365, there will be far fewer videos than there are now. The point of this channel, as the video describes will be to 1) teach some of the skills I’ve learned, 2) Show off some cool travel photography destinations, and 3) to show people how they can make a bit of money of there travel photography. I think it’ll be really fun, and the prospect of this channel has me really stoked to get started on it. I really think that video is the way things will go in the future, so I’ve really decided to make this a focus. I think over the past couple years I’ve become a bit too focused on writing stories, and forget that people need guidance as much as they need inspiration. Spending time in China has taught me that there is still a major lack of really good information for travellers out there. There’s also a whole lot of garbage on the internet to wade through before you find the really smart information. I’ve been building my online travel guides for years now, but I’m going to focus a lot of my energy into that side of things from here on out. Though the format and focus will change a bit, the way I travel certainly will not. I’m in China at the moment and I’m heading up to Mongolia, back to Europe, North America, and probably back to South America all withing the span of a year. I’m stoked for the travels to come. I’m also hoping that re-focusing the blog, and my workload will re-energize my inspiration. The world is just as amazing as it’s always been, but I’ve been beating the same dead horse for 5 years now, it’s time to switch things up a bit. Very heartfelt and I understand how things evolve. I seem to at one point be motivated to write at other times to take photographs. Luckily my mind works so that my emphasis changes often enough that no one notices. It sounds like you have a great plan going! Haha, my mind wanders like my feet. I’m sure I’ll still work some words into it all at some point… just want to change up the focus a bit for the time being. As the saying goes, a change is as good as a holiday. I think it’s good that you recognize that something has changed and that you’re okay to go with that. No point in holding on to the old way if it’s not the one you want to follow. Totally. I’ve been pondering this change for ages now. I can’t wait until it starts to take hold! I’ve been watching your videos for quite a while now and sometimes I visit your website. I think the reason you didn’t get as much views on your videos as you had hoped was because of the concept you were using – a lengthy (in internet terms) introduction, then shots of you on Anne Murray and often buildings and roadsides. What was lacking was interactions with local people and even simple things like how or where to buy a bus ticket in the country you were travelling through or information about areas where people could find a decent hotel in for instance Kinshasa. It may seem trivial but there are many forums online where worried travellers need advice and you had an amazing opportunity to inform. I noticed in your south east Asia videos you visited some incredible places but there was no information about how you got there and how easy or difficult it was. Its amazing what you have been able to accomplish travelling across Africa on a scooter. I think if you want to get excited again about travelling then don’t travel through Europe or South America again but go to more offbeat places like Uzbekistan, Belarus, Iran, Myanmar and the safer corridors in Afghanistan where some international tourists are travelling on tours. The best true advice I can give you is to get another Anne Murray and spend three months travelling around India. I hope that you will find my comment constructive and hopefully it will send you on the correct path. I hope you will not publish my comment. I just wanted to give you genuine advice from someone who is interested in your travels. Thank you so much for the advice! I really do appreciate the constructive criticism. And the truth is, I agree with you entirely. I think part of it comes down to the fact that I just didn’t have a lot of passion for things in Southeast Asia. In Africa, I had the passion but I didn’t understand what kind of content I should be delivering. With the travel photography angle, it allows me to talk about something I’m really excited about. It also lets me be more of a teacher, which is something I’ve hoped to do more of. I think, as I’ve still got my other travel channel, I’ll try my best to mix in some of the things you mentioned into the other channel. I guess, at the end of the day, the reason I never did much of the “how to” side of things before was because I never used to imagine this blog to be a “blog”. I thought of it more as a travelogue, a spot for storytelling, and a place to inspire. I didn’t really imagine that people would look to me for advice on those things. As such, that’s exactly what this blog will become: 1) a place to teach/show off the travel photography, and 2) a guide to traveling the world and more specific destination guides. Again, Emily, thanks for the advice, I really appreciate hearing from you! @Brendan I would like you to visit India, it is an amazing place to travel , also as emily said it is a big country, it would take time, but you will never stop enjoying its essence.Its diversity is incredible! Enjoyed reading every bit of this post! Wish you more success, Kudos!